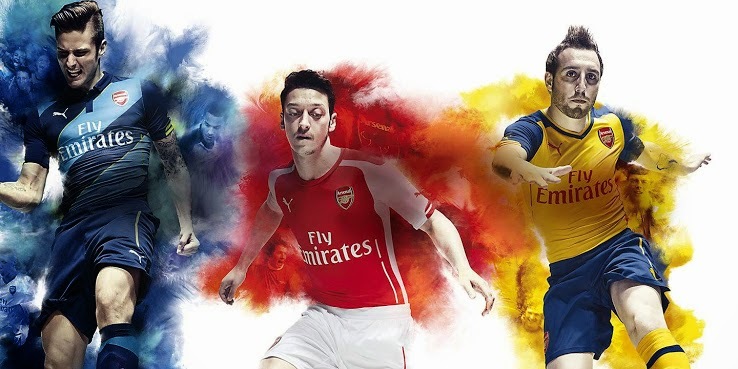 We are able to show all pictures of the Arsenal 14-15 Kits, confirming the previous kit leaks. Fly Emirates again sponsors the new Arsenal Shirts. This is the new Arsenal 2014-15 Puma Home Shirt. The Arsenal 2014-15 Home Kit comes in red with traditional white sleeves and white shorts. 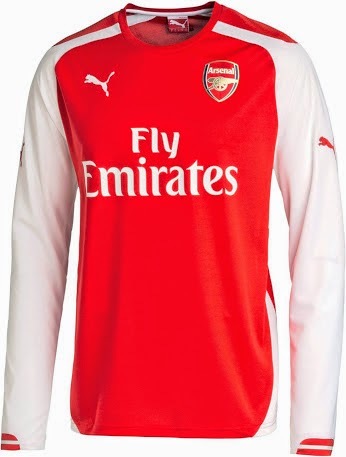 There are red details on the sleeves of the Arsenal 14-15 Home Shirt. Inside the collar of the new Arsenal 14-15 Kits features the club motto: Future, Forever, Victorious. 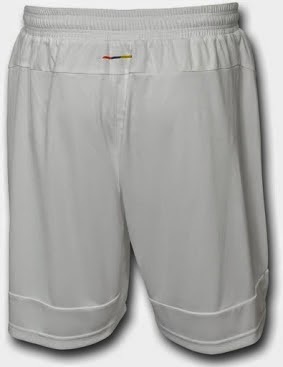 The Arsenal 14-15 Home Kit shorts are white with a red trim on the side. 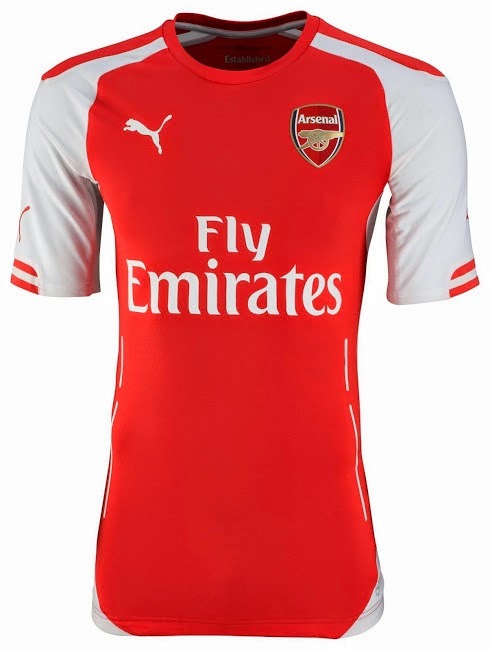 The socks of the Arsenal 14-15 Kit are white/red-hooped, a style previously worn during 1994 and 1996.